I am so glad to have a week off now! Can catch up on everything but first here is the long awaited next tutorial for Come Quilt With Me… on Flying Geese! First work out what size you want your geese to be when it is finished- you will then need to add on 1/2″ to each side to account for the seam allowances. 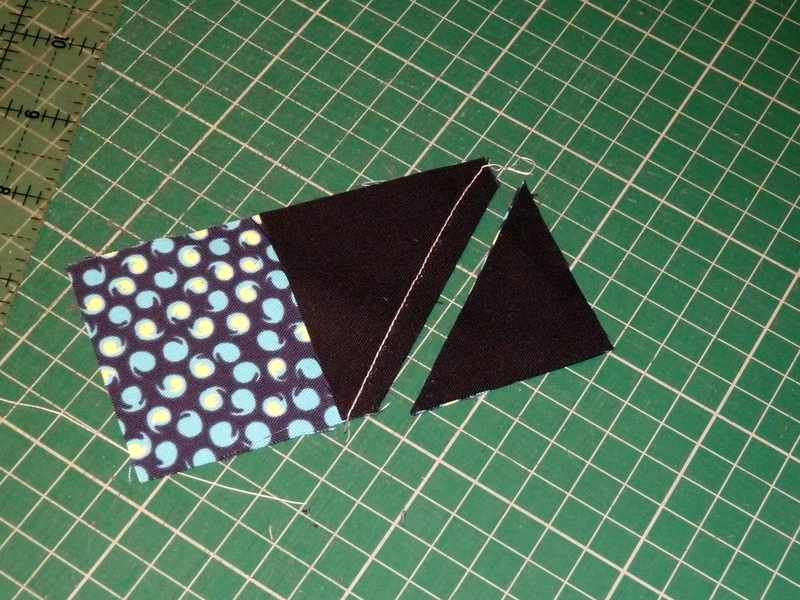 So to create a 4″ x 2″ geese you will need to start with a 4.5″ x 2.5″ rectangle and 2 of 2.5″ squares. On your square draw a diagonal line on the wrong side of the square. 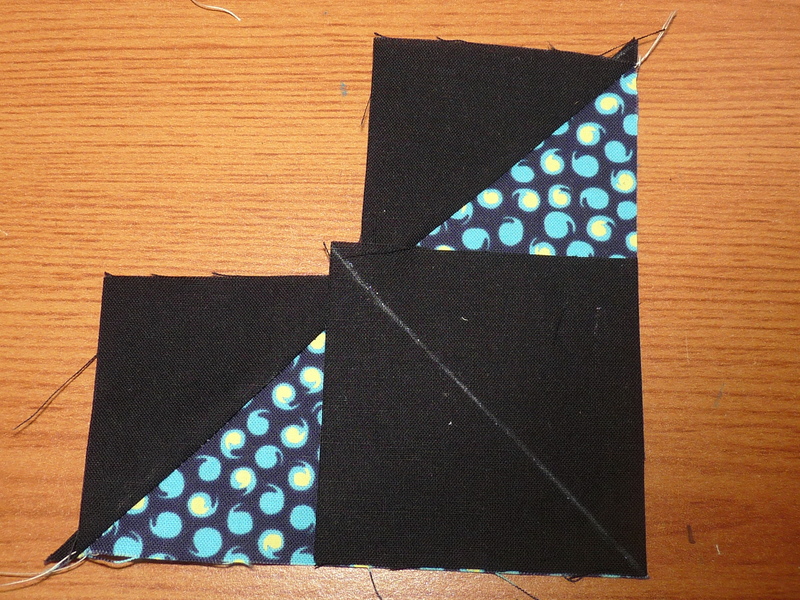 Place the square and rectangle right sides together and sew along the diagonal line. Placement- you see how I displayed the squares in the photo that’s the layout you want to place the square on your rectangle. 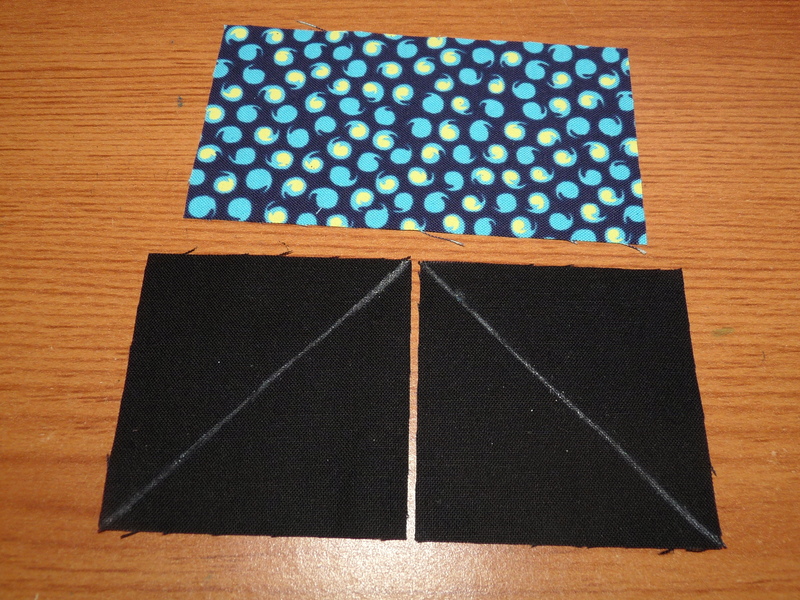 Leave a 1/4″ seam allowance and trim off the excess. Press the seam then open it up. 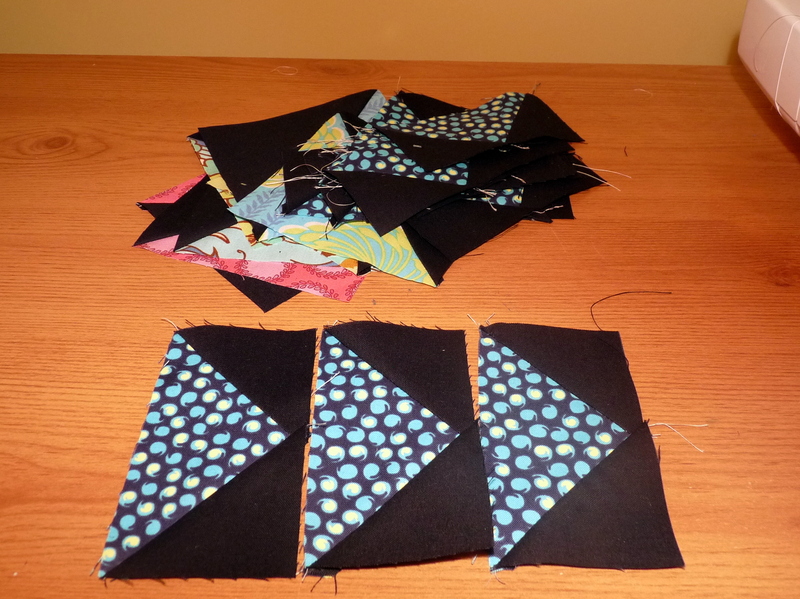 Line up your other square and sew along the line. Repeat with the trimming and pressing. Method Two: The No Waste Method– this will create four geese. First work out your desired geese size. 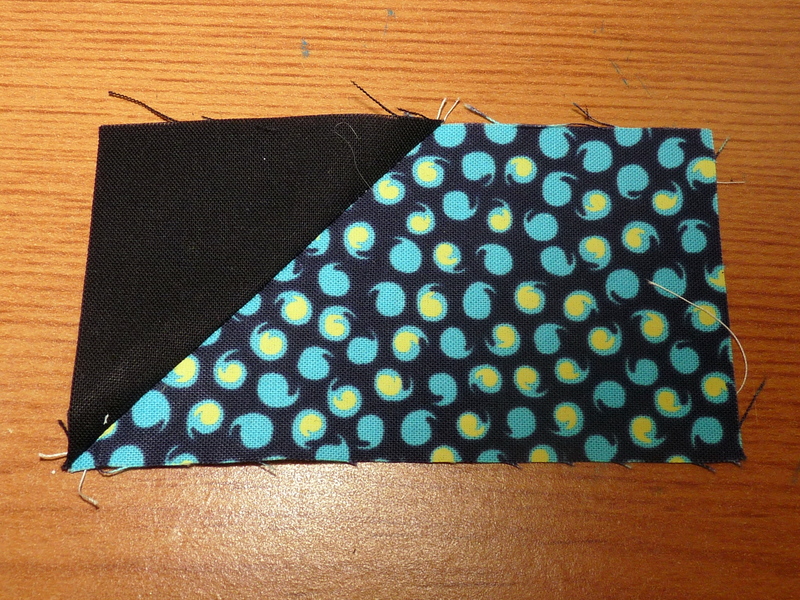 For the larger square it will be the width plus 1 1/4″ to account for the seam allowances. 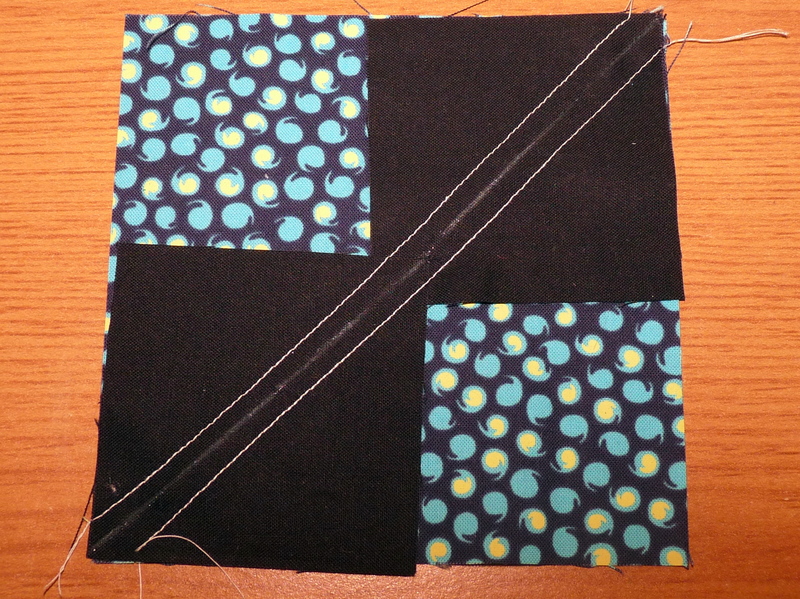 For the smaller squares it will be the height plus 7/8″ to account for the seam allowances. So for a finished geese of 2″ x 4″ you will need a large square of 5 1/4″ and four smaller squares of 2 7/8″. Take your large square and two of the smaller squares and place them right sides together with the smaller squares in opposite corners. Draw a diagonal line from one end to the other. 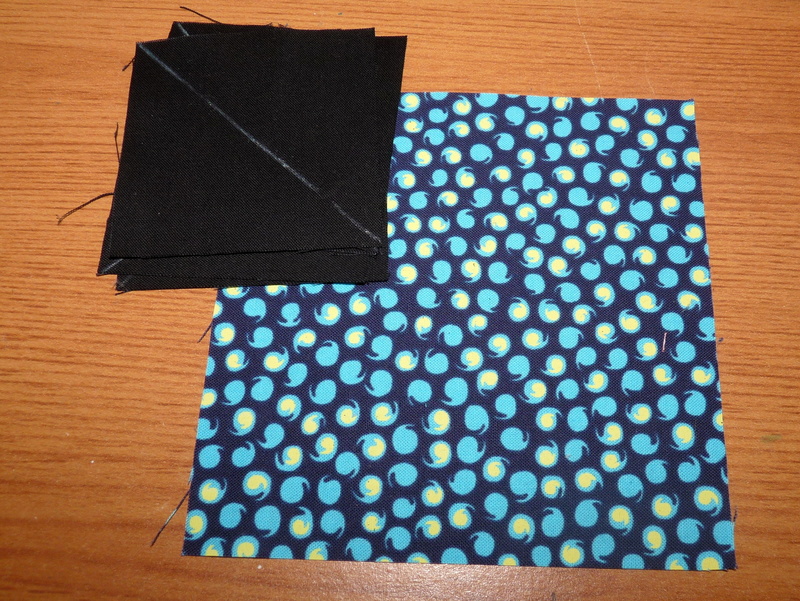 You will then need to sew a scant 1/4″ seam each side of the drawn line. Be careful your square doesn’t shift otherwise you will end up like in the photo above. 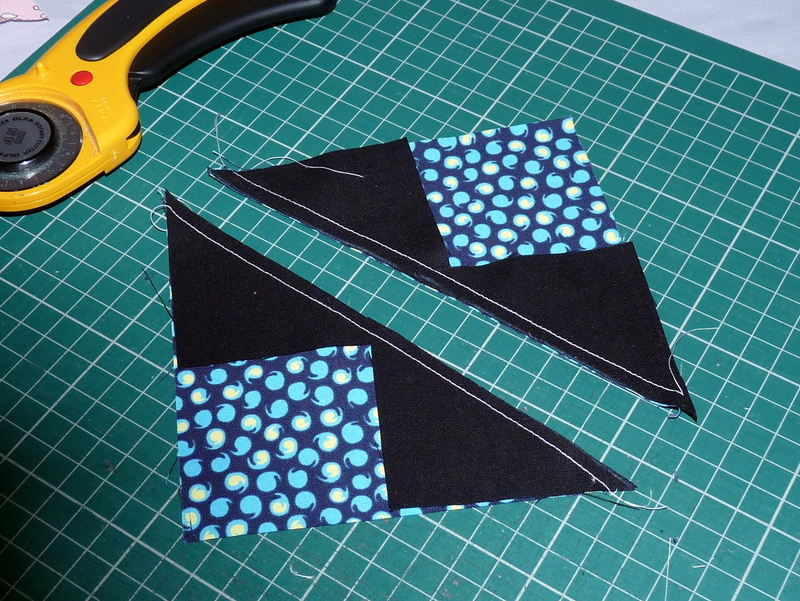 Cut along your diagonal line, then press your seam and open up the triangles. With the other square draw a diagonal line on the wrong side and line it up right sides together as above. 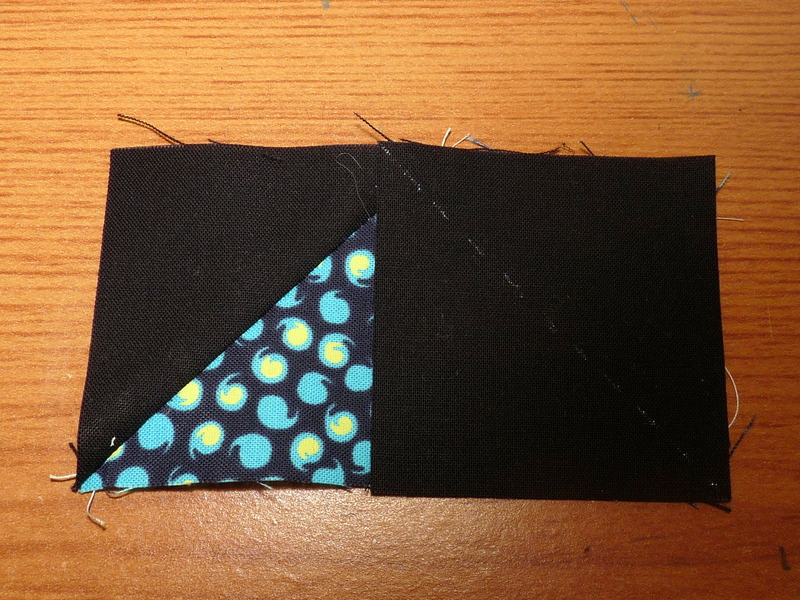 Sew a scant 1/4″ seam either side, then cut along the line, trim and press it open to reveal finished geese. You should end up with something similar to above! And this is going to be a project featured here soon.